Giscome Portage Trail is a designated Heritage Trail that is located 40 km north of Prince George and 6 km off Highway 97 North on Mitchell Road. The Giscome Portage is a route approximately 8.5 km in length, crossing the Continental Divide, which separates the Pacific and Arctic watersheds and provides a link for north and south water-bound travelers. Historically the route was known and used by the indigenous peoples of the area, and was investigated by the North West Company during the fur period. However, it did not come into prominence as a transport route until the discovery of gold in the Omineca and Peace River areas in the 1860s created a demand for quick and efficient access to the goldfields. It remained as the main northern access route until 1920 when it became obsolete with the construction of a road from Prince George to Summit Lake. Use caution at road crossing on North Fraser Forest Road. High use by logging trucks. There are many bugs in the swampy and wet areas; insect repellent is recommended. Giscome Portage Trail is located 40 km North of Prince George and 6 km off Highway 97 North on Mitchell Road. There is also another access point where the trail comes out at Barney Creek Road (close to Summit Lake), which is 48 km North of Prince George on Highway 97. The closest communities, towns and cities are Prince George and Bear Lake. History: Giscome Portage Trail was designated an official Heritage Site July 17th, 1997. 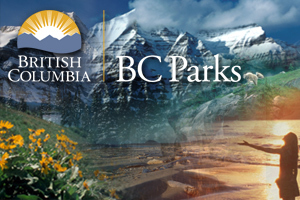 BC Parks took over management of the trail when it was designated a Protected Area in the year 2000. Cultural Heritage: The Portage, which means, “carry”, was first used by the Lheidli T’enneh First Nation as a trade route and for harvesting plants and animals. The first reference to a Portage in the vicinity of what would later be known as the Giscome Portage is found in the journals of Simon Fraser (1806). The gold strikes on Germansen and Manson Creeks led to the Omineca Gold Rush in the late 1860s. In 1863 a guide from the Lheidli T’enneh lead two Black miners across the trail, John Robert Giscome of Jamaica and Henry McDame from the Bahamas. These two men originally came to North America for the California Gold Rush, but arriving near the end of the rush they headed to the gold fields of the North. The trail now bears the name of Giscome as one of the first non-natives to travel across the portage. After being petitioned, the government constructed a wagon road over the Giscome Portage, and the navigation on the Crooked River was improved in 1871. Despite the numerous travellers using the Giscome Portage, no actual community developed there until the early years of the 20th century. This community was later to be known as the Huble Homestead. World War I initiated the decline of Giscome Portage and the decline accelerated with the construction of a road between Prince George and Summit Lake in 1919. Giscome Portage was bypassed as the transportation method shifted from water to road. Wildlife: Park Visitors are able to view many species of native wildlife within a natural setting. Frequently sited wildlife species include moose, deer, black bear, beaver, grouse and eagles. There are fishing opportunities. Anyone fishing or angling in British Columbia must have an appropriate licence. This trail is an easy 8.5 km long and there are trail heads at both ends of the trail. In winter this trail is used for Cross-Country Skiing. Hunting is allowed in the park. Please check the BC Hunting & Trapping Regulations for more information. There is no viewing platform but there is a beautiful bridge for wildlife viewing at Tay Creek. Cross-country skiing and snowshoeing is allowed in the park but there is no track setting. There is a one-way 8.5 km trail and is easy rolling terrain. There are pit toilets at the Huble Homestead Regional Park Site.